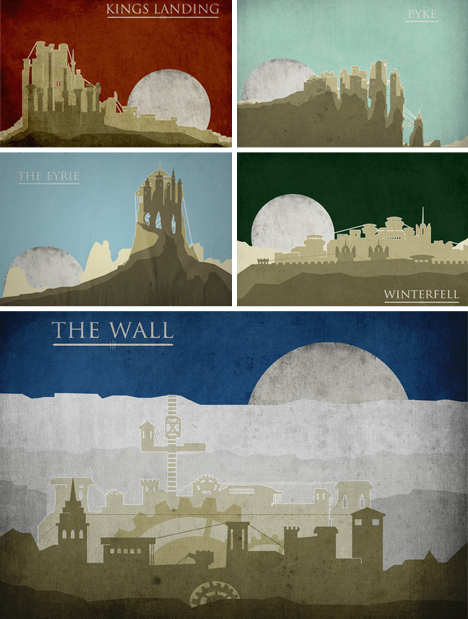 Nicholas Hyde has a thing for the grunge look in graphic design, which he applies to everything from superheros to Harry Potter characters, and, as seen here, a series of lovely colored travel posters for the various cities from the fantasy series by George R.R. Martin titled A Song of Fire and Ice (a series best known by the name of the TV series and first book: A Game of Thrones). Andrew Le, like any good Whovian, knows that The Doctor and his police-box Tardis can be found in all kinds of odd times and places. 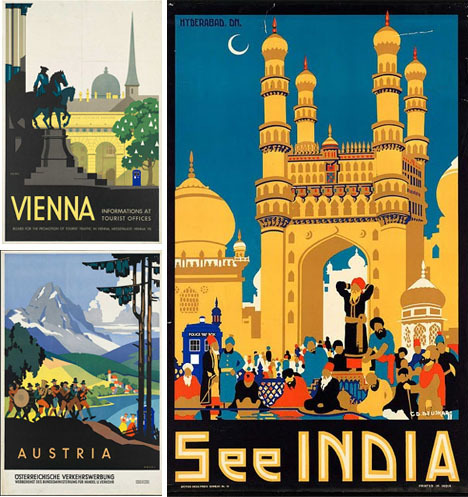 He has set about inserting this iconic time-and-space-ship into the background of a series of tourist-oriented posters for places from Austria to India. 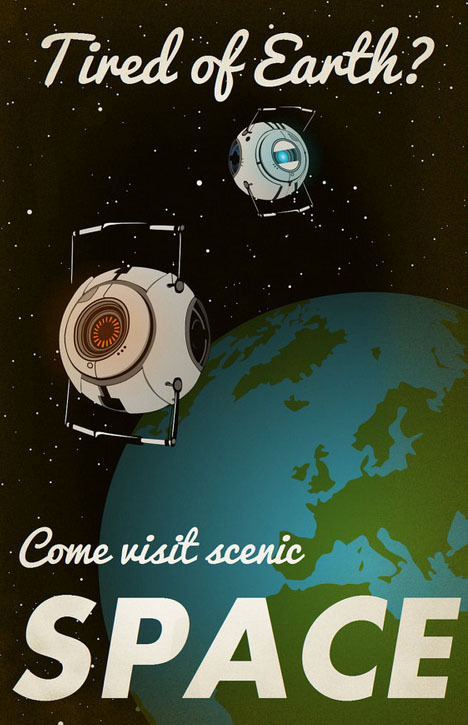 Finally, a fun one from the gaming-world front, Laggy Creations sells this spiffy inside-joke Portal 2 poster that makes the best out of a messy situation of being stuck in space.